With this project "Furiosi Affetti - Baroque Orchestra of Rome" intends to pay tribute to the composer Francesco Onofrio Manfredini (Pistoia 1684 - 1762) on the occasion of the 300th anniversary of the publication of his most famous work, the 12 Concerti, Op. 3, dedicated to Prince Antonio Grimaldi of Monaco. With this in mind, two events are planned, one in Italy and the other in Monaco. The first event was held at the Embassy of Monaco in Rome located in Parioli, on Tuesday, November 6, 2018 at 6pm, 300 years after the first publication of Op. 3, dated "November 1718". This exclusive event for 60 people, with drinks and canapes before the concert, was reserved for guests of the Ambassador and for a selected number of supporters of this crowdfunding campaign. The second event will take place on Sunday 7 April 2019 at 4 pm, at the Théâtre des Variétés in Monte-Carlo. On this occasion the story of the Manfredini will be presented, highlighting his life at the court of Antonio I, followed by a concert showcasing a number of the Op. 3 concertos. The project will end with the release of a CD containing all 12 Concerti Op. 3 by Manfredini. Manfredini was at this time a violinist at the L’Accademia Filarmonica di Bologna, and had already composed a series of 12 chamber concertos (Op.1) and 12 church symphonies (Op. 2) Quite possibly fascinated by the figure and these works, the Prince suggested to Manfredini that he move to his court and work for him. In Monaco the Prince had installed an orchestra, a choir and a balle troupe, making sure that all the works performed at the Paris Opera were immediately replicated in the Principality; he himself, having acquired the well-known and almost mystical conductors staff of Lully, personally conducted the orchestra. 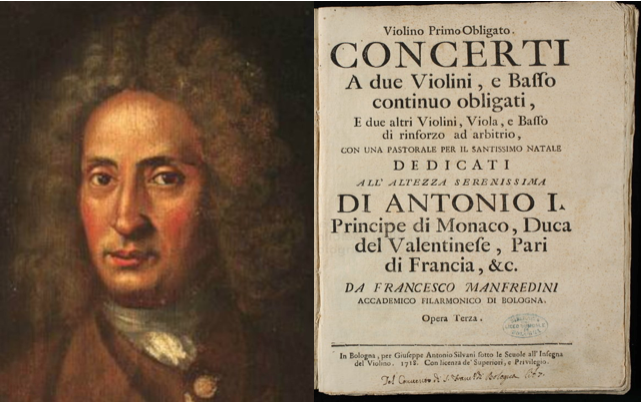 In this musically rich environment, Manfredini composed his third collection in 1718, the 12 concertos for two solo violins and basso continuo with string orchestra, as well as a Pastorale for the feast Christmas published in the city of Bologna, a piece still performed frequently today. These are “concerto grosso”, a style very popular in the early eighteenth century, in which a small group consisting (usually) of 2 violins and cello (the “concertino”) alternates with a larger group (the “ripieno” or “concerto grosso”), alternating between virtuosic passages by the soloists and the grander sound of the full string orchestra. "Furiosi Affetti - Baroque Orchestra of Rome" is a project of the "Le Triolé" Musical and Cultural Association, located in Via Ascrea, 18 in Rome. The association has been working for many years in and around Rome, teaching and organizing musical events. It has collaborated with several public bodies such as Municipio 13 of Rome and the Local Health Agency Roma 1. Furiosi Affetti was founded in 2017 by a group of professional musicians specialising in Baroque instrumental performance. The group consists of 8 violins, viola, ‘cello, violone, theorbo and harpsichord, performing on instruments which are original or copies of period instruments. To better reproduce the sound-world of the period, bare or covered gut strings are used - a much softer and gentle sound that that produced on modern instruments, resulting in a more intimate performance experience. To date, in its first year, the orchestra has performed 15 concerts, including works such as concerto grosso, intermezzo, oratorio and ballet, receiving praise from the public and critics alike. 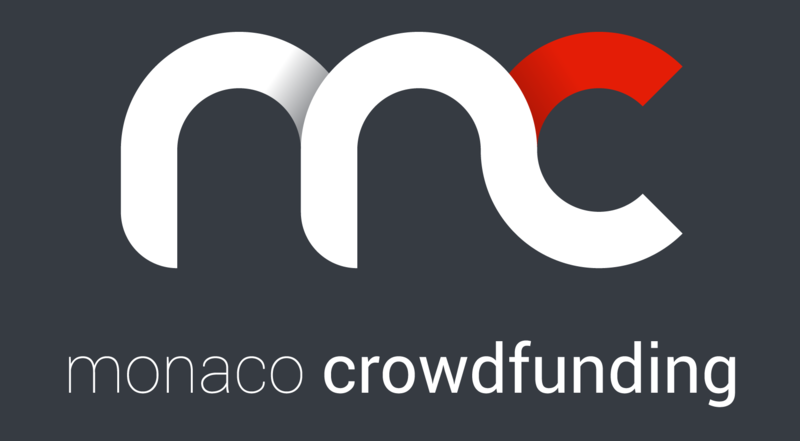 Supporters of the crowdfunding campaign will be eligible to participate in a series of tiered rewards listed below, relative to the amount of their donation. Donors will be able to purchase tickets for the concert in Monaco at the Théâtre des Variétés on April 7, 2019. Tickets will be awarded in according to the amount of the donation and the availability (max 300). Those who want to support the project without being able to attend the show will receive a personalized thank you and a T-shirt "Furiosi Affetti 2019" signed by Franny Thiery, ou 1 carnet « Furiosi Affetti » signée par Franny Thiery. 1 notebook « Furiosi Affetti » designed by Franny Thiery. Seat for the concert of 7 April 2019 in Monaco at the theater of Variétés. Seat for the concert of 7 April 2019 in Monaco at the theater of Variétés. Seats on lateral ranks M-O. Seats on lateral ranks G-L.
Seats on central ranks I-N.
Seats on central ranks G-H.
Seats on central ranks E-F.
A personalized thank you from "Furiosi Affetti" and a "Furiosi Affetti 2019" T-shirt signed by designer Franny Thiery. I would like to become a sponsor of this concert in Monaco. Ambasciatori d’arte. Sono iniziative che vanno assolutamente sostenute.